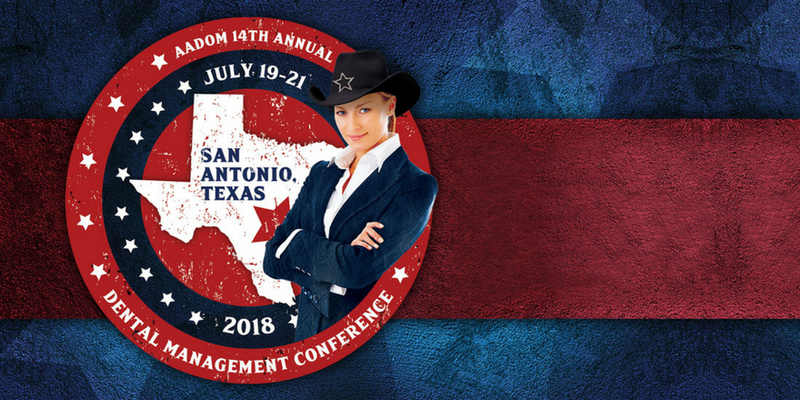 The American Association of Dental Office Management held its 14th annual conference in July 2018 in San Antonio, Texas. Thousands attended — each of whom knows that behind a great dentist is an amazing dental office manager. 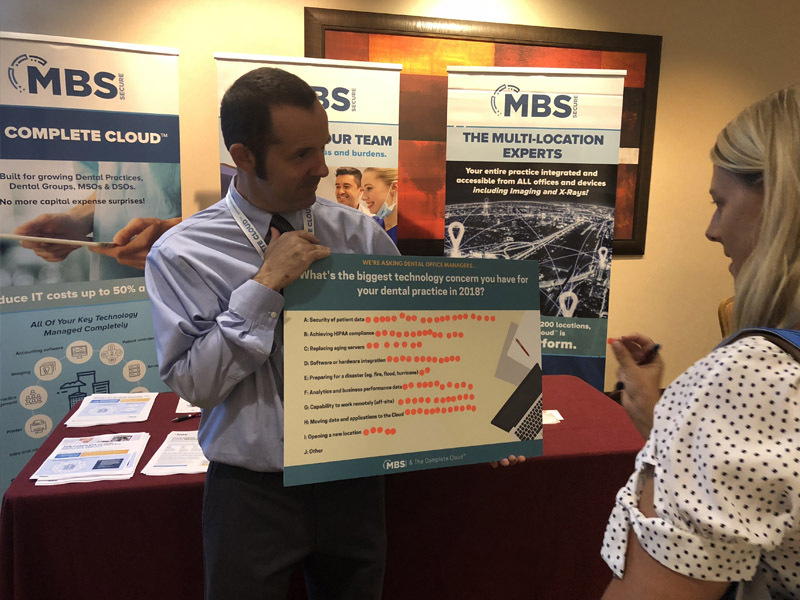 MBS Secure, home of The Complete Cloud™, was there as well. We wanted to learn what technology challenges you faced and how we could best help find a solution to fit your unique needs. 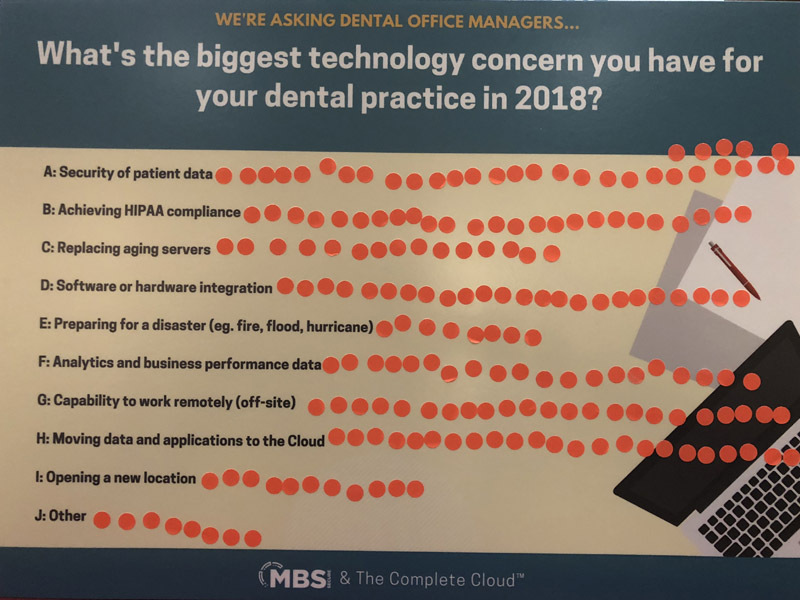 What Tech Concerns Exist for Dental Office Managers? 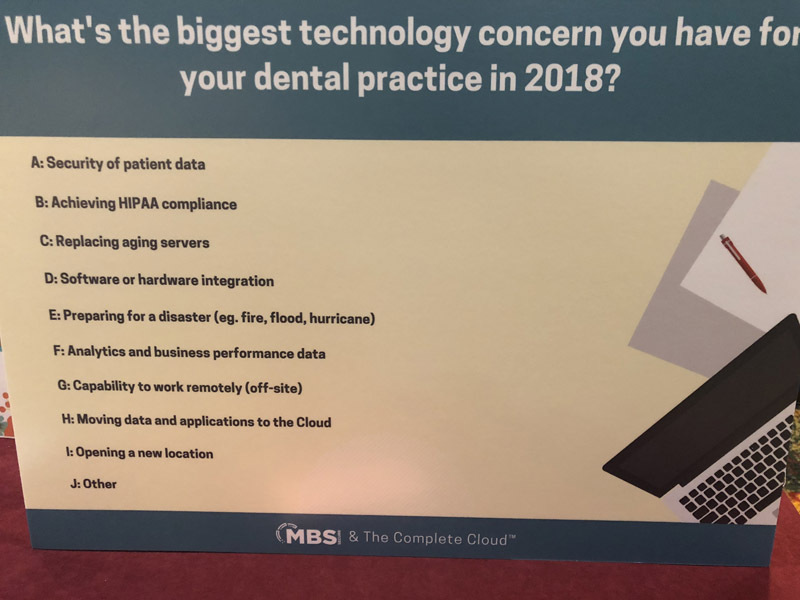 So, we asked the hundreds of you who stopped by our booth to take part in a brief survey that listed nine of what we thought might be your top technology pain points. Then, we gave you a red sticker (well, most of you took two or three), and asked you to place it alongside the tech issue(s) that caused you the most angst. We understand how valuable your time is, how much you juggle each day, and how many booths you had to choose from. So, we thought hard about what prize you might appreciate most — a bit of pampering just for yourself. Well, more than a bit. 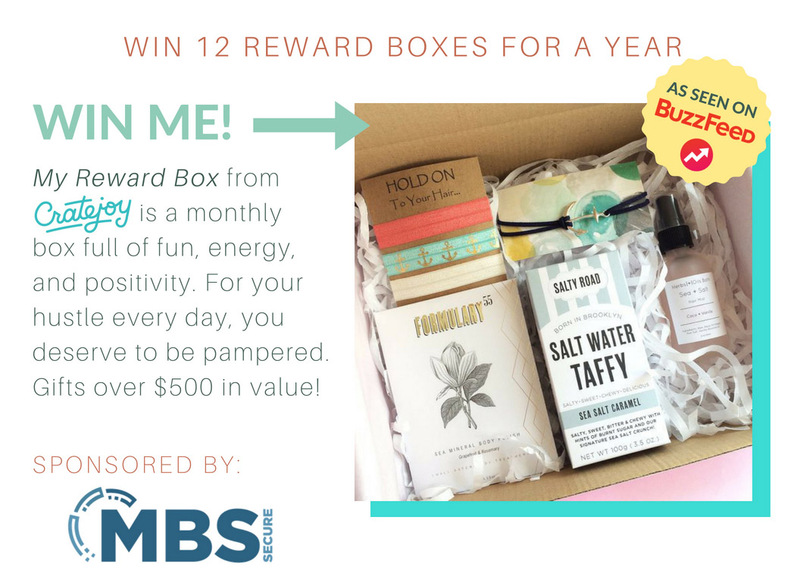 A gift box of pampering products delivered to you every month. Everyone who took part in our survey qualified to be entered for the gift drawing. At MBS Secure, we really appreciate that you stopped by our booth, and we thoroughly enjoyed meeting each of you. We were enthralled by the tribal camaraderie you all shared and understood even more why recognizing the important work you do is so vital. We promised we’d share the survey results with you — and we will. And, yup, we sure do know that dental office managers rock, indeed!